US President Donald Trump’s Chief of Staff Reince Priebus has opened the possibility of the administration extending to Pakistan the temporary visa ban and “extreme vetting” of travellers imposed on seven countries. Speaking on Sunday during “Face the Nation” programme on CBS, he said in the passing that Pakistan may be among countries considered for adding to the enhanced temporary restrictions on travel to the US because of terrorism risks. The temporary ban covers only Iran, Iraq, Libya, Somalia, Sudan, Syria and Yemen. Later in the programme, “Face the Nation” host John Dickerson pointed out that the woman involved in the 2015 San Bernardino terrorist attack came to the US from Pakistan on a visa given to fiances. He tried to pin down Priebus and get a more definitive answer by asking if the country she came from was among the seven covered by the four-month ban and “extreme vetting” of visa applicants because of the terrorism risks cited by the Trump administration. 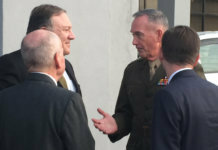 The Trump administration has been treating Pakistan with care because it is a nuclear-armed nation that can impact the future of Afghanistan and the war on terrorism. 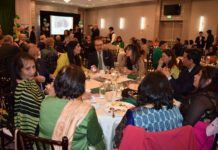 Moreover, the number of Pakistani Americans and Pakistani permanent residents number into hundreds of thousands. The San Bernardino attack that killed 22 people was carried out by Syed Rizwan Farook, a US-born Pakistani American, and his wife, Tashfeen Malik, a Pakistani who came to the US on a fiance visa and married him.